If nothing else, I would have given this place 5 stars due to the fact that the menu is 100% Gluten Free. As a celiac, this is basically impossible to find so it was a major treat to know that ANYTHING I ordered was going to be safe to eat. Caterpillar Roll - Very yummy roll with a mild flavour. 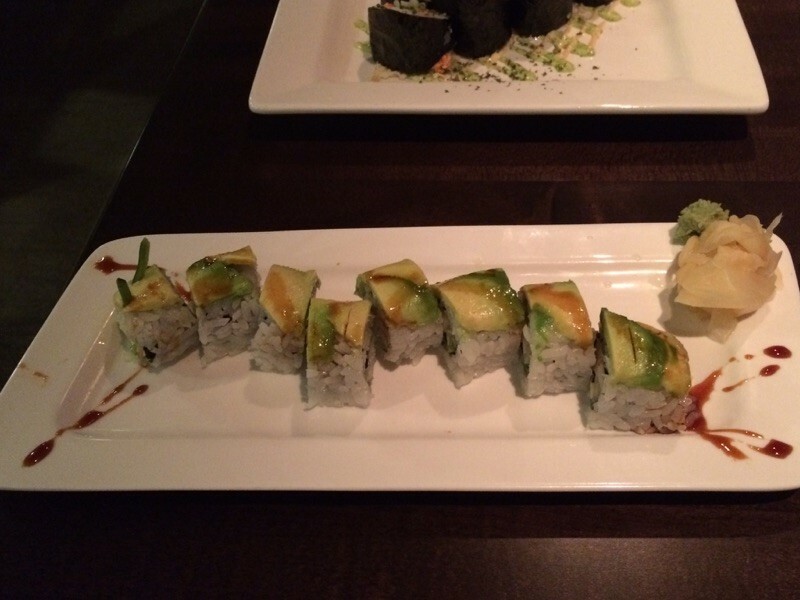 Especially loved the fresh avocado covering the rolls. 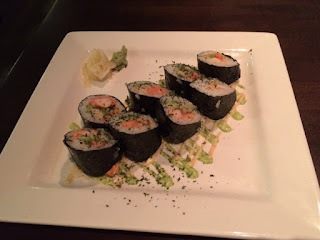 Atlantic Lobster Roll - If I had to rate between the other rolls, this was probably my least favorite (however still good) due to the cold shredded veggies with the lobster. Flavours didn't combine good enough to make a fantastic flavour though. Dynamite Roll - LOVED this one. 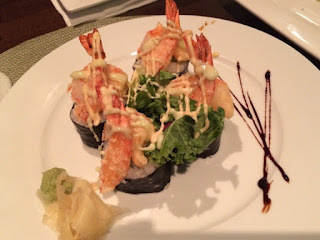 I can almost never eat Tempura but this tasted sooo good and even my husband (again, no food allergies) felt this tasted like something 'normal' and really like it. Flavours were really nice! 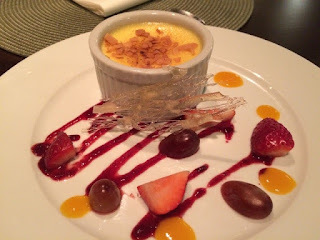 For dessert, I ordered the Coconut Creme Brulee, which I was elated to order because it was also Dairy Free! It tasted really good but I will say that I was a little disappointed because they didn't have the crunchy sugar top (which to me, is a MUST with creme brulee). It was mostly like pudding with some toasted coconut on top. Still tasted good, but not for $8 honestly. Presentation was very well done but price was too steep. Husband ordered Sticky Toffee Pudding which was good too. For 'health conscious' people, this was great as the menu even says something about being less sweet and a healthier option. I mean, it's still a cake dessert with syrup and ice cream but I think it's just made with 'less sugar' than normal. Atmosphere was nice, server was good. I would say it was a win for me as a Celiac. Just keep in mind, it is a little more pricey and it is a FUSION restaurant so it's not the classic raw fish sushi type of place. Only 4 stars due to the price and minor taste dislikes. I'd recommend giving it a try!